Nancy Louise Gillett of Peoria, IL, passed away at her home on Tuesday, August 28th, 2018. The daughter of Robert W. and Dorothy Neidlinger. Nancy was born on August 19th, 1949, in Canton, Ohio. She was well-known and highly regarded as a flutist and oboist throughout Central Illinois. Nancy spent her formative years in Canton, OH, where she attended Lincoln High School and was an active member of the LHS Band program. As a senior, she was privileged to give her first public performance of Chaminade's 'Concertino,' under the direction of Jerd Bayless. In 1963, Nancy was able to march with the LHS Marching Band during the first game played at Fawcett Stadium for the opening of the National Football Hall of Fame. Upon earning her Bachelor of Music and Bachelor of Music Ed degrees from Kent State University, Nancy embarked on a wide-ranging music career as a flutist. She received her Master's Degree in Flute Performance from East Carolina University (North Carolina) before earning her Doctorate of Musical Arts (DMA) at the University of Illinois (Champaign-Urbana) under the tutelage of Charlie Delaney, whom she considered her mentor and inspiration. In addition to performing as an orchestral and solo flutist, Nancy also performed to high praise in master classes with such notable flute pedagogues as Marcel Moÿse and Michel DeBost. 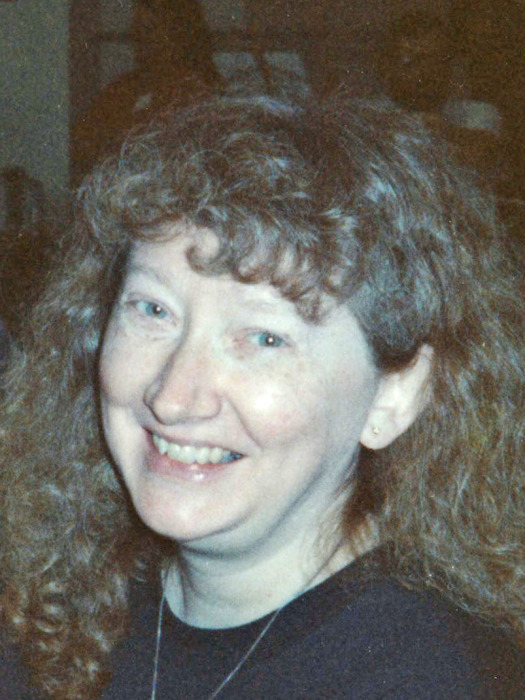 For 18 years, Nancy was an assistant professor of music at Bradley University, where she taught Music History, Music Theory and flute, as well as performing on modern flute and early instruments (notably Baroque flute, recorder, and 4-key flute) in solo recitals and with the Collegium Musicum. In addition, Nancy served for many years as principal flutist with the Peoria Symphony, Peoria Civic Opera, and Peoria Municipal Band. After contracting musician's focal dystonia in the early 1990's, Nancy made the decision to switch to the oboe as her primary instrument, while still maintaining her skills on Renaissance and Baroque flutes. As an oboist, she was able to create a second career and performed with Peoria Players' Theatre, Cornstock Theatre, the Illinois Valley Symphony, and the Peoria Civic Opera, as well as English hornist and eventually principal oboist with the Knox-Galesburg Symphony, a position she held for 19 years. Nancy also possessed a deep fondness for chamber music and played music of her favorite composers (Beethoven, Mozart, Prokofiev) with the St. Martin Chamber Players, the Heart of Illinois Quintet, the Heart of Peoria Chamber Series, and with various ad hoc and “pick-up” groups comprised of friends and colleagues. In addition, Nancy held a deep, abiding commitment to musical education. She maintained a private studio of oboe and flute students of all ages, as well as for other instrumentalists, any of whom would “drop-in” for coaching, musical advice, or just to visit and view her collection of over 1800 figurines of flutists and oboists. During her teaching career, Nancy was pleased and honored to count among her students 9 winners of the Prairie Wind Ensemble's student soloist competition, along with 2 winners of the Peoria Municipal Band's summer soloist competition. Outside of her musical life, Nancy especially enjoyed nature and animals. She and her husband Grant provided a home over the years for several cats (the late Gretchen and Mortimer, and their current cat Cleopatra), a wide variety of birds (the late Gunther), and many species of reptiles (the late Ralph the iguana and Snapper the turtle). As an avid fan of the Chicago Bears, she could be counted on to never miss watching a game. Nancy is survived by her husband of 36 years, Grant; her son Matthew and daughter-in-law Shirley, both of Clarksburg, MD; and brothers James (Anne) Neidlinger and Robert “Bob” (Peggy) Neidlinger, along with several nieces and nephews. She will also be missed by the many students and friends whose lives she touched with her broad, commanding knowledge of music and her extraordinary ability to inspire confidence and draw out a student's absolute best, personally and musically. Cremation Rites have been accorded. A memorial visitation will be Wednesday, September 5, 2018 from 4:00pm until 8:00pm at Bradley Epworth United Methodist Church 1316 W Columbia Terrace, Peoria, IL. A Memorial Service is scheduled for 11:00am Thursday, September 6, 2018 also at the church. Pastor Tom Eckhardt will officiate. In lieu of flowers, memorials can be made to PAWS or to Youth Music Illinois at www.youthmusicillinois.org. To share a memory or condolence with Nancy’s family, visit www.peoriafuneral.com.